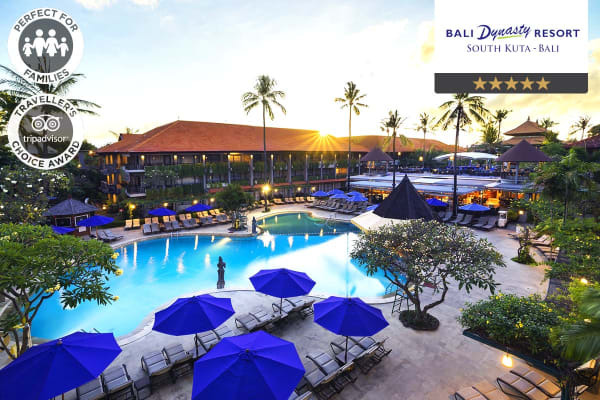 Indulge in your own slice of Balinese resort heaven with this incredible 6 or 10 night getaway, located on the pristine shores of South Kuta and buzzing with ambient bars, tantalising restaurants and family fun-filled activities. Perfect for couples, this stunning room is decked out with an ultra-luxe bed, air conditioning, flat-screen TV and en-suite with a walk-in rain shower plus your own private balcony. Enjoy all the amenities of the Superior Room with the added luxury of stunning poolside views. Located on the ground floor, enjoy terrace access to the outer gardens with this stunning suite. 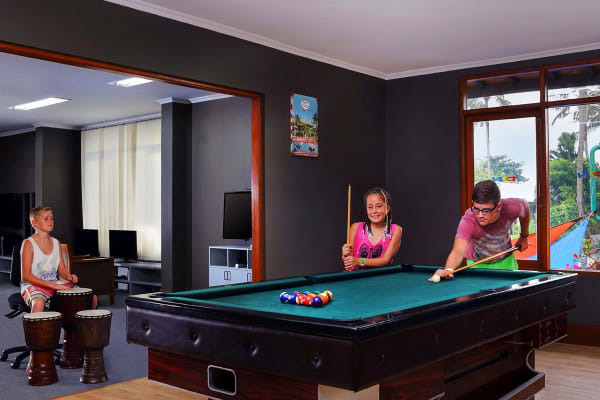 Perfect for families,you’ll enjoy the same amenities as the previous however with bunk beds for the kids, plus an in-room Playstation, en-suite tab, massage shower and another flat-screen TV. Enjoy double the space of a Deluxe Room with two interconnecting rooms, perfect for family getaways or escapes with friends. 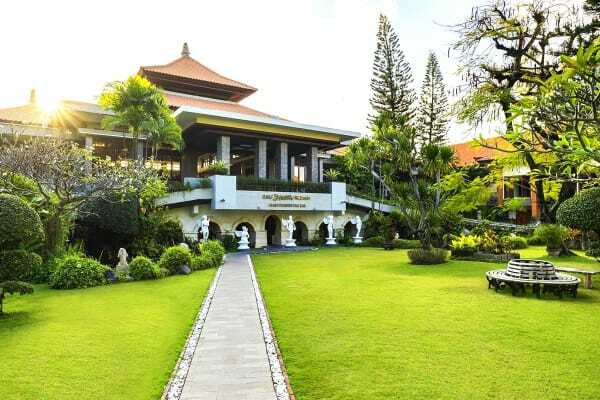 Located amongst the hustle and bustle of Kuta yet only a stone’s throw away from Bali’s famous beaches, this jam-packed Bali getaway blends ultimate relaxation with beachside fun and adventure – perfect for families and couples escapes! Cool off from the hot Balinese sun by the resort swimming pool, and paddle up to the swim-up bar for a refreshing smoothie or cocktail. This incredible resort has three outdoor swimming pools to choose from! From Chinese to Indonesian, Italian and pub food, you’ll be spoilt for choice with the resort’s six restaurants and four bars. Enjoy unbelievable food and beverage discounts with this package plus a decadent themed buffet dinner at H20 Restaurant. Enjoy absolute serenity at the adults only lazy pool while the kids bask in one of Bali’s most renowned kids club on-site, built with an ‘enchanted garden’, gaming and outdoor facilities and capped off with a 56m high waterslide. Sink into bliss with a traditional Balinese massage from the Ashoka Spa and unleash your inner holiday glow. This package gives you a complimentary 15 minute massage for two. When you’re ready to venture out, perhaps enjoy a fun-filled day at Waterbom Park or indulge with a shopping trip to Lippo Mall close by. Alternatively, you could go on a rice paddy quad bike adventure or an island reef cruise, easily organised by the hotel (own expense).